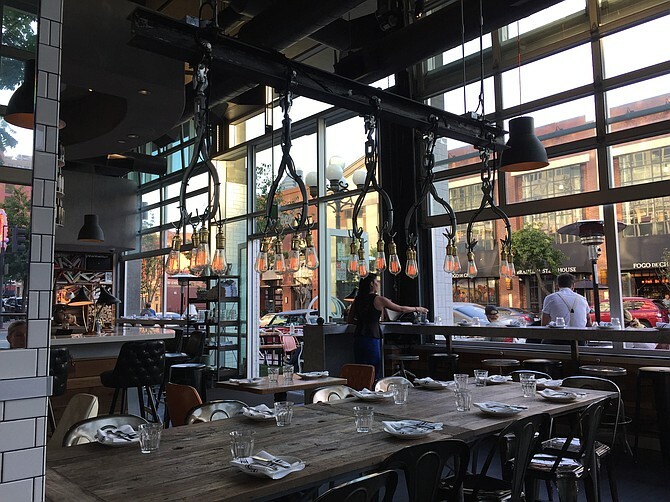 The Gaslamp’s all about nightlife, but a good reason to venture downtown while the sun’s still out is this spot’s Social Hour from 3 to 6 p.m., Monday through Friday. Belly up to the three-sided bar or grab one of the mismatched, ultramod seats on the wrap-around outdoor patio and enjoy $3 off cocktails, mostly local draft beer, wine by the glass and, best of all, the avant garde edible creations of young and talented executive chef Chris Gentile. Coming up at fine-dining gems Nine-Ten and Kitchen 1540 has given him the chops to provide tasty dishes with white-linen panache.